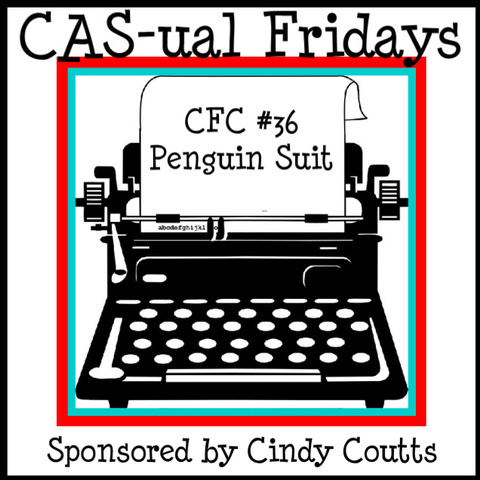 I made this card for the current CAS-ual Fridays Challenge - Penguin Suit. I found some Lawn Fawn stamps I've never used that I thought would work well with Black & White. I also used a die that I haven't used too much and some twine from The Twinery. Thanks for taking a look! Great stampy finds, I really love what the twine adds to it! Really cute and I love the way you did the twine :) Glad you played with us at CAS-ual Fridays! Your card is gorgeous , I love it. You make simple look soo good. What a darling design, Donna! It's so sweet using just black and white for this image! 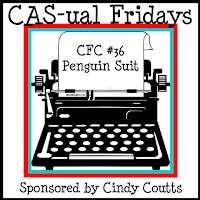 Thanks so much for joining us at CAS-ual Fridays!Always a delight to see your version! LOVE your bold design Donna! Such a fun image and sentiment too! Beautiful card. Like the clean and simple look.